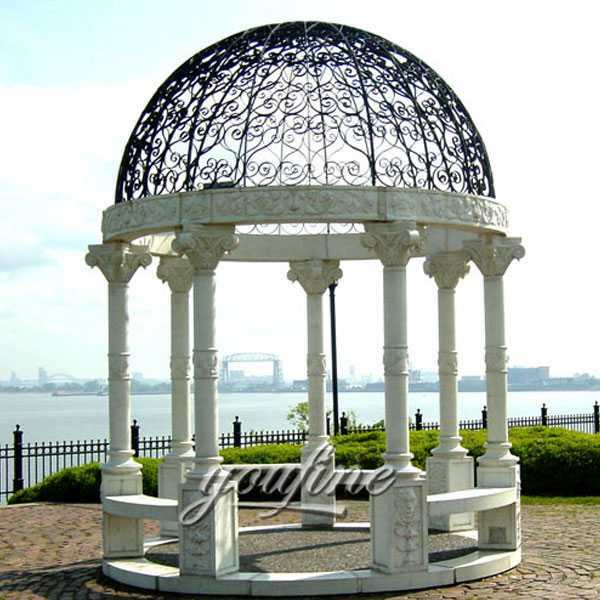 Marble round natural stone gazebo is provided by You Fine, it is for home, city garden decoration.You can contact us to get high quality gazebo with affordable price. 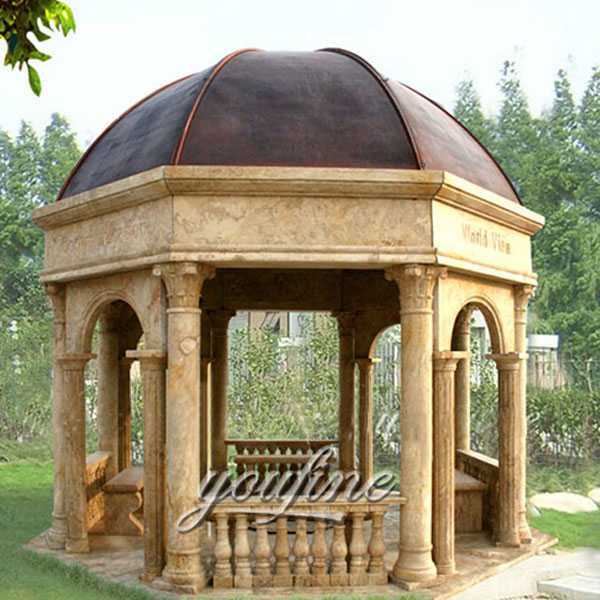 Natural stone gazebo is used widely for outdoor or garden. We have many designs. 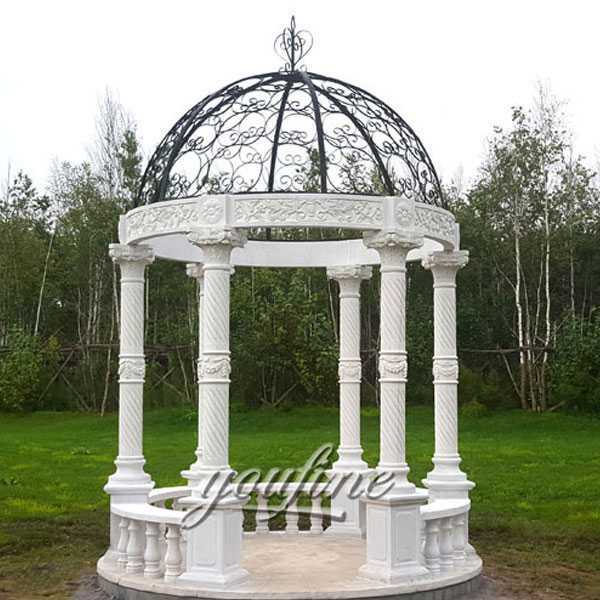 Marble round natural stone gazebo is provided by You Fine, it is for home, city garden decoration.You can contact us to get high quality gazebo with affordable price. 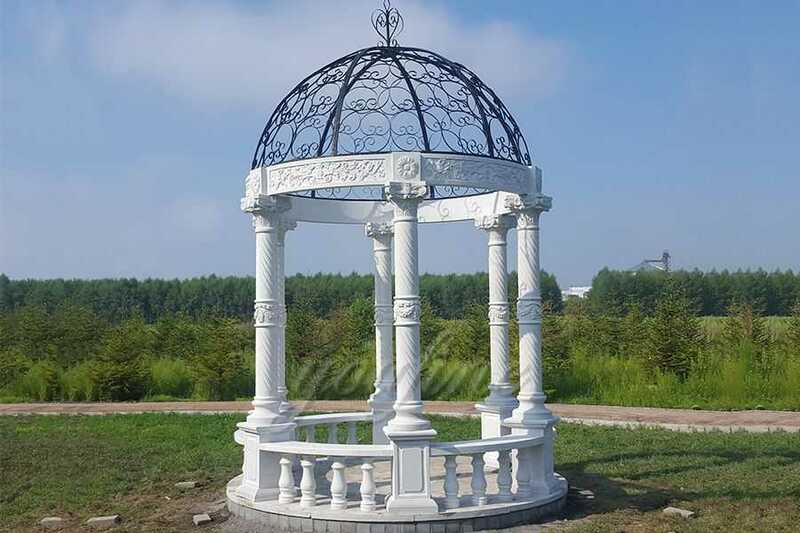 You Fine could provide all kinds of marble gazebo,such as stone round gazebo, square gazebo, white and beige gazebo, marble gallery, Europe style stone gazebo, also customized design, the size can be customized. 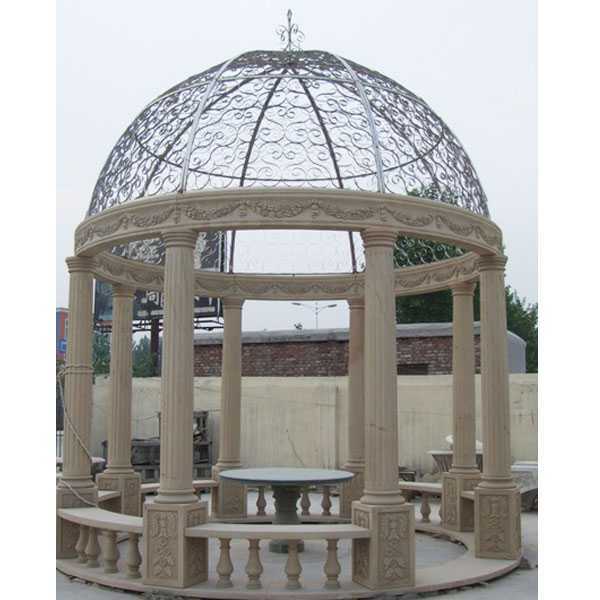 A natural stone gazebo is a perfect addition and enhancement for any garden or yard. Not only does it provide an attractive feature and focal point to please the eye, but it increases the pleasure you derive from your outdoor space in an almost infinite number of ways. It enables you to expand your home’s living space, and greatly extend your enjoyment of outdoor living to three, or even four, seasons of the year. 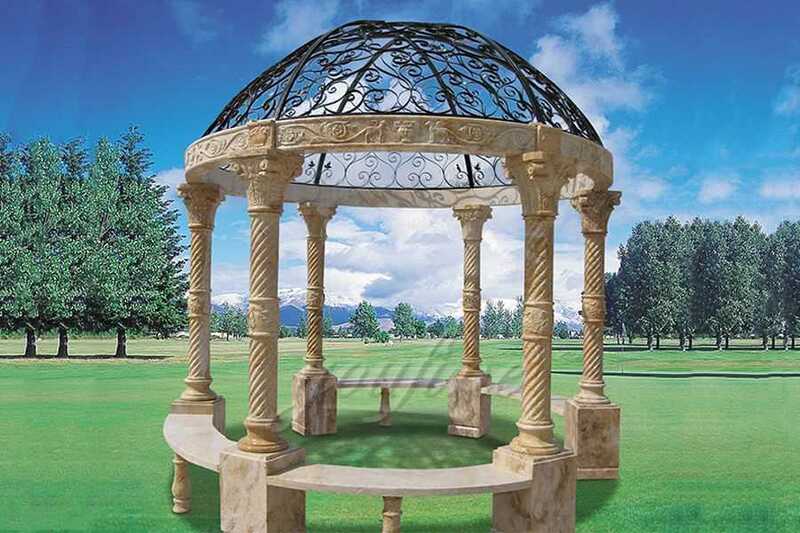 All of our natural stone gazebo have 30-years quality guarantee, which means, if you find any unusual problem with your purchased sculpture, you can quickly approach You Fine for the necessary solution for free. In severe cases, money will be given back in less than 7 days. Our prices not arguable, this is because we are manufactures (our own factory) not just suppliers. We make sure we negotiate to suit our art quality as well as our customer’s budget. However, we always advice customers who insist on very cheap rate as compared to some other company’s product to also consider the art standard. These gazebos are the best way to get the longest use of your outdoor space throughout the year in comfort. They also allow you to customize and decorate the inside of your gazebo much more than other options do. 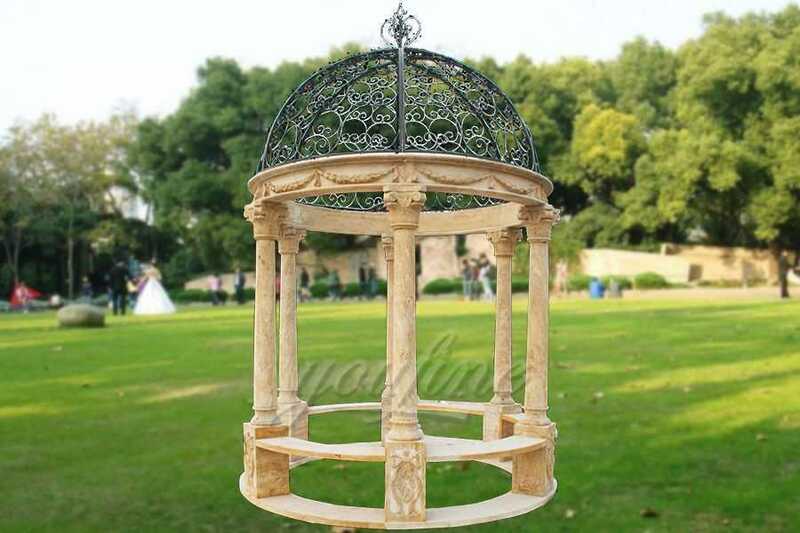 So any requirement about natural stone gazebo,or want to other marble product,please choose YOU FINE ART SCULPTURE !